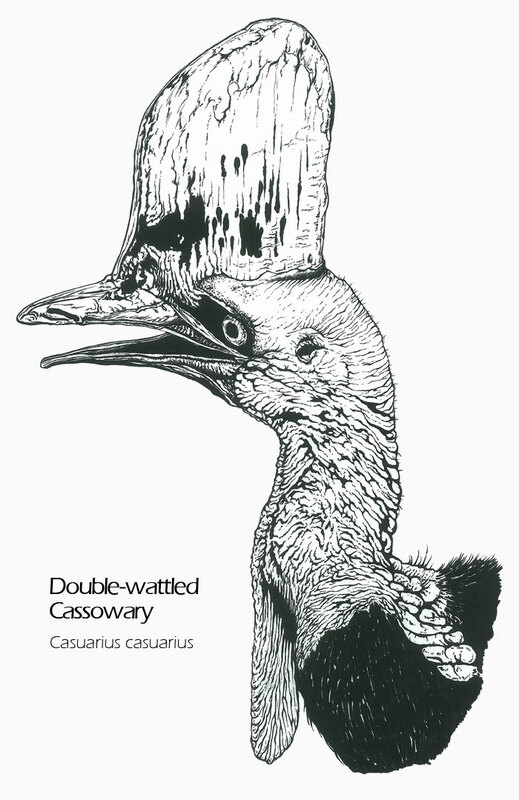 This illustration is of the Double-wattled Cassowary, also known as the Southern Cassowary, Australian Cassowary or Two-wattled Cassowary. This is a kind of prehistoric bird that cannot fly. They can be very dangerous with their legs and claws, killing someone with a single kick... In turn, the cassowaries are often killed by cars when crossing roads. 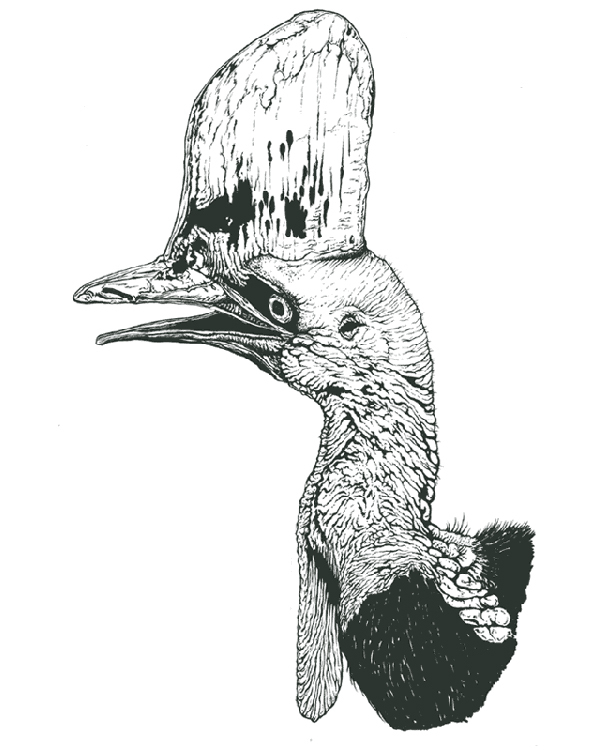 Animal drawing art description: Bird fine art drawing scientific illustration of a double-wattled cassowary. Black and white ink drawing by Madeleine Dubé. Double-wattled cassowary bird drawing artwork available for sale as greeting cards, postcards and high quality giclée print reproductions (8"x10" and 11"x14"). Double-wattled cassowary animal image available for licensing. Ideal for commercial uses such as print, packaging or advertising. For information contact me by email or by phone: 1-514-770-0705.